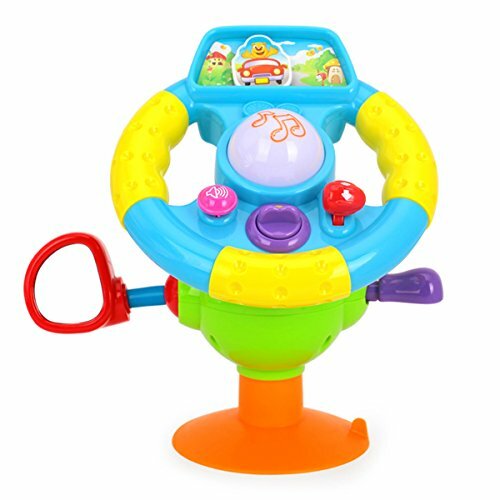 This Steering Wheel Toy has an installed suction cup so it can stick on smooth surfaces. The steering wheel can be waggled left and right. It has all the noises and sounds of a driving car for great pretend play. It is equipped with some nice music and flashing light. Perfect gift toy for the little driver. Your kids will feel like a real driving,and enjoy the travel.the best car seat toy for kids. It feels like a real driving.enjoy the travel. If you have any questions about this product by New Sky Enterprises, contact us by completing and submitting the form below. If you are looking for a specif part number, please include it with your message.